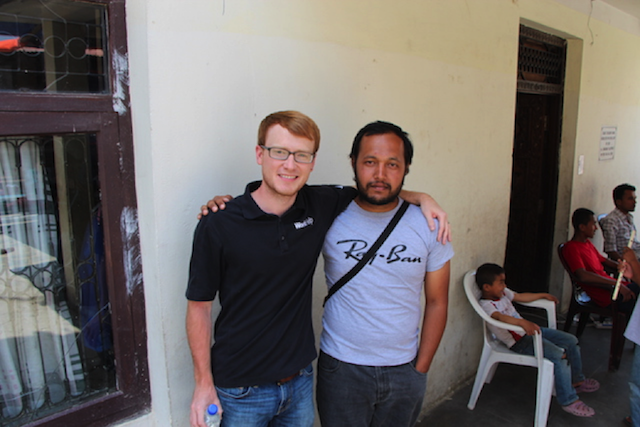 After surviving the April 25 earthquake in Nepal, Hezron knew God had spared his life to rescue others. There was no booming voice or bright light . . . no fire pouring down from the sky . . . just a subtle stirring deep in Hezron’s spirit that made him pause to listen. “Wait,” the voice seemed to say. It would have taken little effort to ignore it—to write it off as nothing and carry on with his plans . . . but it would have cost him his life. It was the morning after the 7.8 magnitude earthquake and Hezron prepared to take his motorbike to the remote village of Gorka . . . It had been hours since the quake and he’d heard nothing from his friends. He couldn’t understand why God would ask him to wait—or even if the whole thing was simply his imagination—but he chose to heed the warning in his spirit. He’d wait to make the trek in the morning. Only a few hours later, a startling confirmation came. A violent aftershock ripped through the earth once again, and only minutes later, a landslide quickly swallowed the road he’d planned to travel . . . obedience had saved his life. When Hezron finally made his way up the demolished road, he crossed over dozens of bodies buried in the mud . . . and a sobering reality settled in: his life was spared for a purpose. Hezron spent the following days working tirelessly alongside World Help partners and aid workers to bring relief to as many he could, knowing in the deepest places of his being that he’d been saved to rescue others. 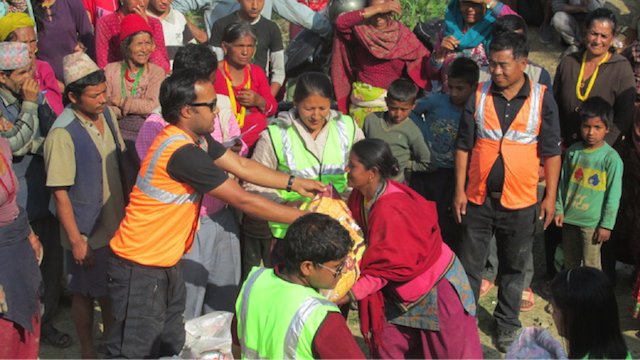 Since the devastating 7.8 magnitude earthquake on April 25, our partners in Nepal have poured themselves out to save as many lives as possible. For over three weeks straight, they’ve continued to make distributions in remote villages, reaching thousands with life-saving aid. And they have no plans to slow down. Although our partners have become depleted in almost every way—emotionally, physically, and spiritually—your prayers and support are continuing to provide them with aid to distribute, strength to endure, and eternal hope to share. Thank you hardly seems adequate for the difference your investments are making in Nepal. Your faith is strengthening Nepali believers to make the love of God known in a time it is desperately needed. Please continue to lift up our partners in prayer as they strive to be the hands and feet of Jesus to those crying out for a Savior.